It’s no secret that we have a HUGE trash problem around the world. One eco-friendly company from California is striving to make a difference with the coolest invention for caffeine lovers ever! Reduce. Reuse. Grow., a startup company based out of San Louis Obispo, invented the world’s first plantable coffee cup. When planted the seeds embedded within the cup grow in the ground, sprouting life out of what was once a worthless old coffee cup.Reduce. Reuse. Grow. hopes to raise enough money to make these awesome coffee cups that grow into trees a reality at a coffee shop near you. 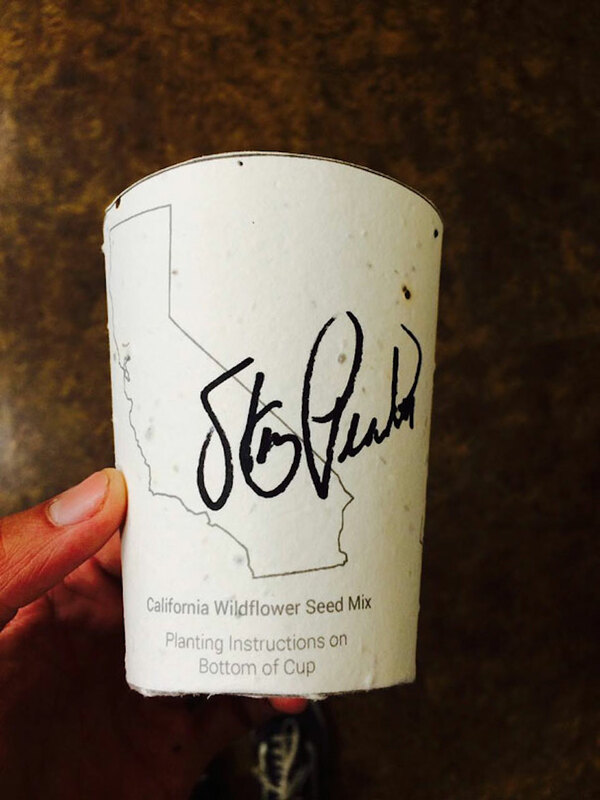 The cups will be made based on location, so that each cup contains native seeds from the area it is served in. This ensures your coffee cup will grow and flourish in your own backyard.It’s super easy to plant your coffee cup. You unravel the used cup and soak it in water for 5 minutes. Next, put on your gardening gloves and roll up your sleeves, it’s time to plant the soaked cup and watch it grow. We are all consumers and as a result we produce so much waste. Just think about all of the trash you create in your own home, now multiply that by your street, neighborhood, and entire city. Part of this trash is coffee cups. Americans consume 400 million cups of coffee every single day, which adds up to over 146 billion cups annually.You might feel good about recycling your coffee cups, but this doesn’t actually solve the problem, it just helps slow it down. Once a product has been broken down about three times it is no longer effective to recycle it because it doesn’t have enough fibers left. This is how billions of coffee cups end up in landfills, even if they were originally recycled.The creators of plantable coffee cups wanted to create something that offered a better solution to recycling. The idea for creating a cup that can be planted as opposed to thrown away is the perfect solution. Simply drinking coffee could someday soon help landscape communities. The coffee cup can biodegrade within 180 days, transforming into native flowers and trees.One cup will grow at least 1 tree, which will then work to better our planet by extracting 1 ton of CO2 over a 40-year period. Cups can be planted in your own background, out in rural landscapes, community gardens, or anywhere else you see fit. If you don’t want to replant your own cup there will be bins in participating locations where you can toss the cups. Instead of cutting down trees and eliminating forests to make cups, this allows us to give back to mother nature. Over 140,000 containers have already been planted.After raising money on KickStarter, Reduce. Reuse. Grow. 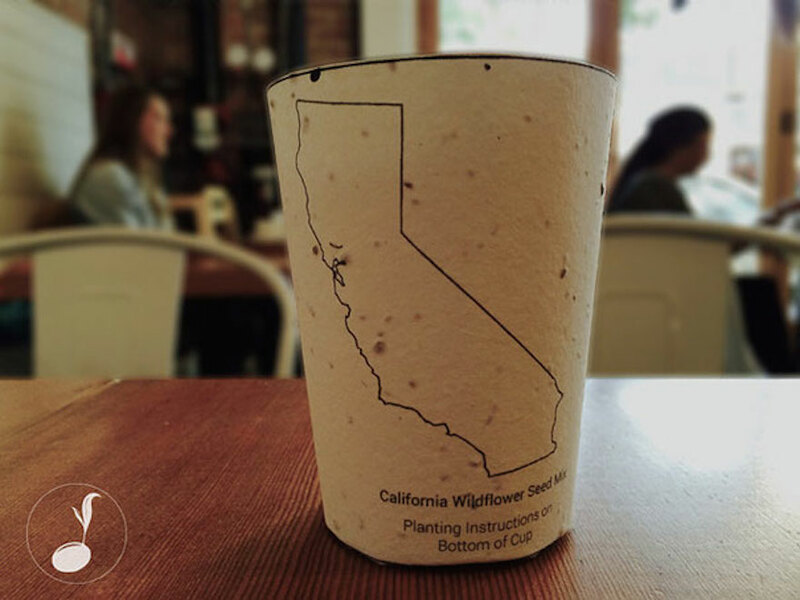 plans to take their idea to San Francisco and Colorado where people will have the chance to purchase and plant these cups at participating locations. If all goes as planned, plantable coffee cups that turn into trees will be a reality by the summer of 2015.Eventually, so many other products can be manufactured using the same exact process. Togo containers, shipping boxes, and paper products can all be transformed from pollutants that destroy trees, to biodegradable miracles that create trees!Help fund this awesome campaign through Kickstarter. Or, shop on the Reduce.Reuse. Grow.  website, where they offer clothing, artwork and more.Learn more and watch a video about the team by going to the official KickStarter page for “The World’s First Plantable Coffee Cup”.